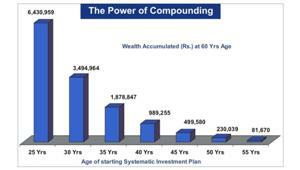 If you are an indolent investor prone to piling up idle cash in your savings account, here's an eye-opener. If the bank were to collapse, you will get back only Rs 1 lakh of your money, whether it is in a savings account, current account or as a fixed deposit. So what should you do? Confine your cash savings to Rs 1 lakh? With a bit of smart account management, you can increase this amount. The maximum amount of Rs 1 lakh is insured by the Deposit Insurance and Credit Guarantee Corporation (DICGC) for all commercial banks, including the branches of foreign banks functioning in India, local area banks and regional rural banks. In case of co-operative banks, you will need to check if it is covered under the DICGC because if a bank has not been paying the premium for the insurance scheme for three consecutive years, it ceases to be covered. According to the DICGC, the cover is for the combined deposits worth Rs 1 lakh at all the branches of a bank. 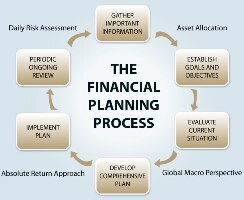 However, if you tweak your bank account portfolio, you can insure a higher amount. One way is to have different acounts with different combinations. For instance, a joint account with your wife, in addition to an individual one in the same bank, will be considered a separate account. Here again Rs 1 lakh will be insured. This will help you insure up to Rs 2 lakh with the same bank. KVS Manian, group head, retail liabilities and branch banking, Kotak Mahindra Bank, says, "Very few customers are aware that the money is insured up to Rs 1 lakh per holding combination. Suppose I have an individual account and another in my daughter's name, where I am the guardian, both accounts are protected up to Rs 1 lakh. This is because both the accounts are owned independently." Similarly, if you have two joint accounts, and in each case the primary holder is different, these will be considered as separate accounts. "If Hari and Ramu have a joint account, where Hari is the first holder, and there is another joint account, where Ramu is the primary holder, then both the accounts will be considered separate and will be covered for Rs 1 lakh each," says a DICGC senior official. So you can spread your money in various accounts to take advantage of this facility. We have worked out an example below (see Increase the cover) where Mr A can insure up to Rs 4,06,000 depending on the balance in each account that he holds and the different capacities in which it is held. What if, like Mr A, you have Rs 50,000 in savings bank and Rs 1 lakh in fixed deposits in the same bank and in the same capaity? Says RK Bansal, executive director, IDBI Bank: "Both accounts are considered as one and insured only up to Rs 1 lakh. This includes the interest accrued on the deposit. As a bank, we are calculating the interest every quarter and this is shown as a liability for the bank and, hence, it too is covered, subject to the limit of Rs 1 lakh." However, if you have any pending dues, you will have to clear these before you can file the claim in case of an unforeseen event. According to RBI regulations, "Banks have the right to set off their dues from the deposit amount. The deposit insurance is available after netting such dues." It is important that you clear these dues even if the bank goes bust. If you do not do so, your credit history is bound to be marred and you will find it difficult to get a credit card or a loan from any other bank. Can you please confirm the maximum insurance per account is one lakh or 5 lakhs.